The Rock Solid Dual 5/8″(16mm) Baby Stud is a handy and indispensable universal adapter which converts just about any piece of photography equipment into the mount required for the current situation. The Rock Solid Dual 5/8″ (16mm) Baby Stud features a Baby 5/8″(16mm) stud on both sides and a 1/4″-20 male thread on one end and a 3/8″-16 thread on the other. All steel construction, both round studs fit into any 5/8″(16mm) Baby receiver. 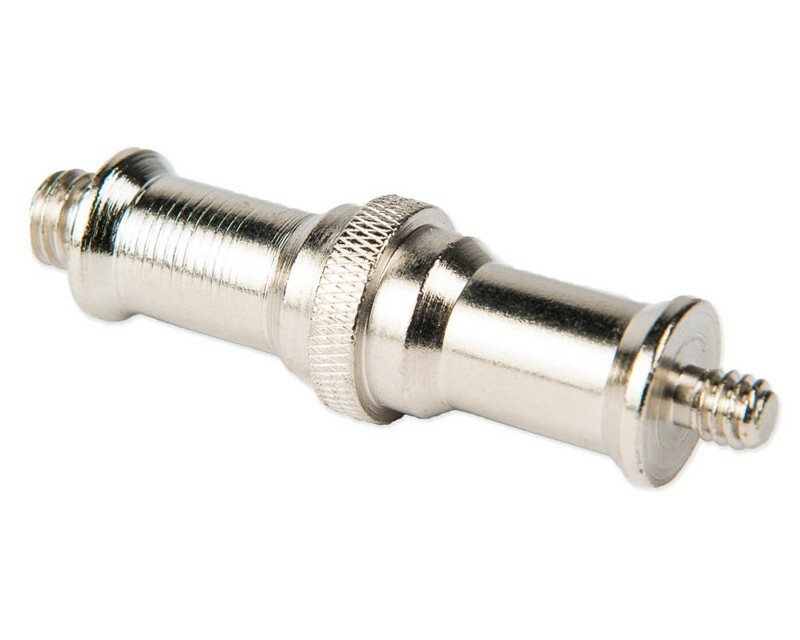 This handy adapter will also convert any 3/8” female or 5/8” (16mm) Baby stud receptor to a 5/8” pin or ¼”-20 male thread. It will also convert any ¼”-20 female to a 5/8” (16mm) baby stud receptor to a 5/8” (16mm) pin or 3/8” male thread. Rock Solid Dual 5/8″(16mm) Baby Stud was designed to fully integrate with the complete line of Tether Tools Rock Solid clamps, stands, and accessories. This handy adapter will also convert any 3/8” female or 5/8” (16mm) Baby stud receptor to a 5/8” pin or ¼”-20 male thread. It will also convert any ¼”-20 female to a 5/8” (16mm) baby stud receptor to a 5/8” (16mm) pin or 3/8” male thread.